Hey Y'all - Today's look is very Safari-ish. 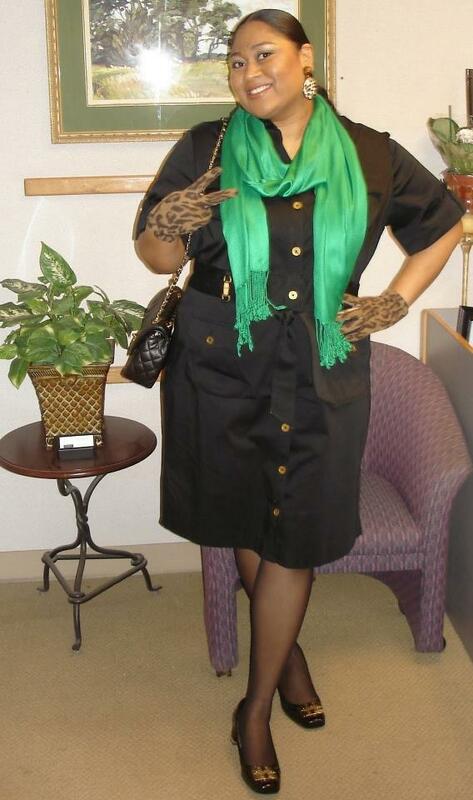 I used a black Safari inspired dress by Jones New York and added a green fringed scarf...cheetah gloves and earrings and black shoes with gold details. I love how this outfit turned out...I hope you do too! Boo you are wearing my earrings! LOL! Love the touch of emerald green on ya! Great color! BTW gloves are SICK! Kiah, I love love you earring...so much like vintage earrings. Love the touch f green!